Austin City Limits is pleased to announce that we will be streaming our taping with Eric Church live on Tuesday, Sept. 23, 8pm CT/9pm ET. The taping will webcast in its entirety via our YouTube channel. North Carolina native Church got his start playing Jimmy Buffett covers in hometown bars, but quickly transitioned to original material. After graduating from college with a marketing degree, Church moved to Nashville, recording demos and placing songs with other singers before releasing his debut Sinners Like Me in 2006. His second release Carolina included “Love to Love You the Most” and “Hell On the Heart,” his first top 10 country hits. That set the stage for the platinum-selling Chief, which debuted at No. 1 on the Billboard album chart and boasted the massive hits “Drink in My Hand” and “Springsteen,” his first single to cross over to the pop chart. This year’s follow-up The Outsiders also debuted at No. 1, throwing “Give Me Back My Hometown” and the title track up the charts. Church’s distinctively hard-rocking brand of country, influenced as much by AC/DC and Metallica as Merle Haggard and Waylon Jennings, has earned him a huge audience outside the confines of country radio, prompting him to tell CMT, “I think genres are dead. There’s good music. 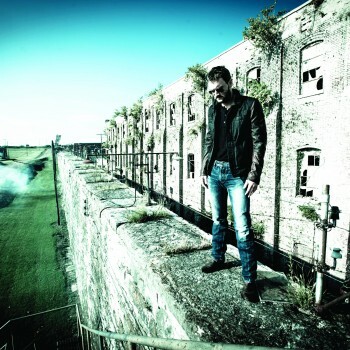 There’s bad music.” Eric Church does not play bad music, as you’ll find out at his debut ACL taping on 9/23. The broadcast version of this show will air this fall on PBS as part of ACL’s 40th anniversary season. 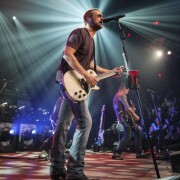 Join us for this live webcast of the Austin City Limits debut of Eric Church.